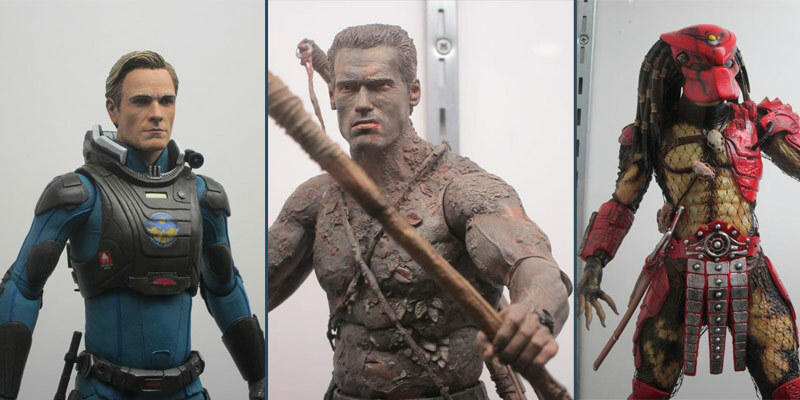 Check out some Highlights of the NECA booth at Comic Con! 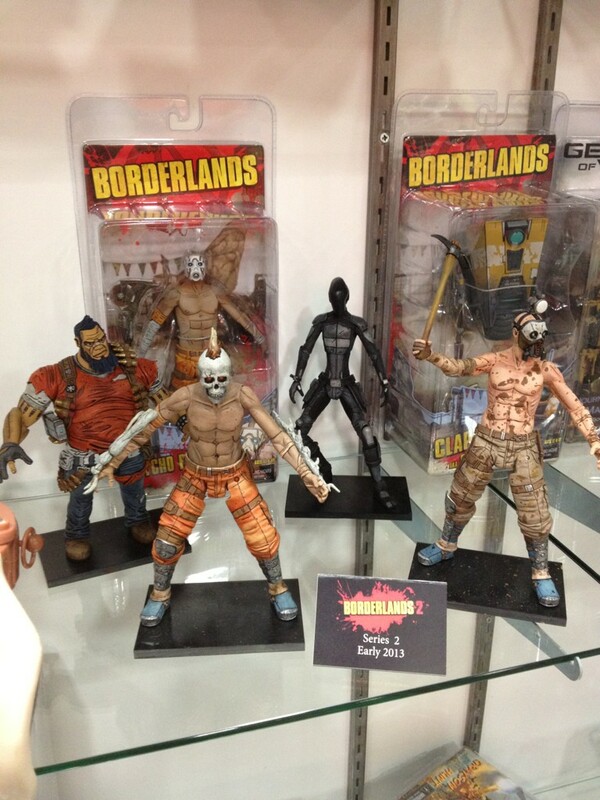 Our Director of Product Development, Randy Falk, reveals upcoming figures and more at SDCC 2012! 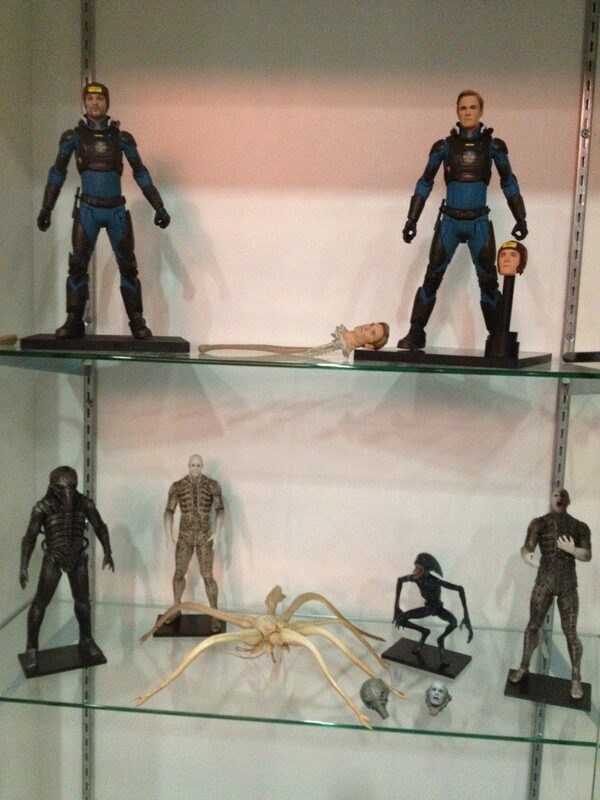 If you’re on Twitter, what you need to do immediately is follow Randy’s feed @NECA_TOYS. Why, you ask? How about last Thursday when Randy unveiled a slew of upcoming licenses and figures for the rest of this year and beyond? It was glorious. We could just say better luck next time and all that, but because we’re kind souls, here are just some of the best shots from Randy’s preview-night reveals at the 2012 San Diego Comic-Con. A fun fact for you: we frickin’ love Predators. City Hunters, Shaman Predators, Berzerkers. We’ve done six series of Predators so far, and even made a nice Predator figure checklist available for collectors, and we’re not stopping there. 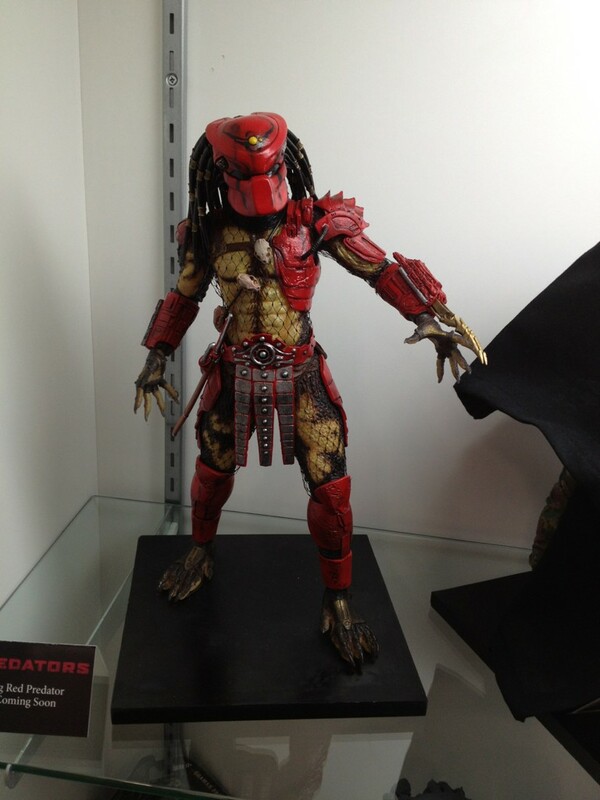 Randy showed off a few from the upcoming Series 7 & 8, including the Big Red Predator here was a definite eye-catcher. You might want to click that picture to get a better look. While we all still try our darnedest to unravel the mysteries of Prometheus, these gorgeous figures from the movie can only help in the process. Sooner or later we’ll all figure out what was going on in the movie. Maybe a couple sequels would help? This one has already gotten a huge and overwhelmingly positive response. Randy also revealed a figure of actor Michael Biehn as Dwayne Hicks from Aliens, but Kyle Reese was just too perfect not to show. That face is just so dead on! Expect much more on this one to come. Note the card just to the right of the figure. 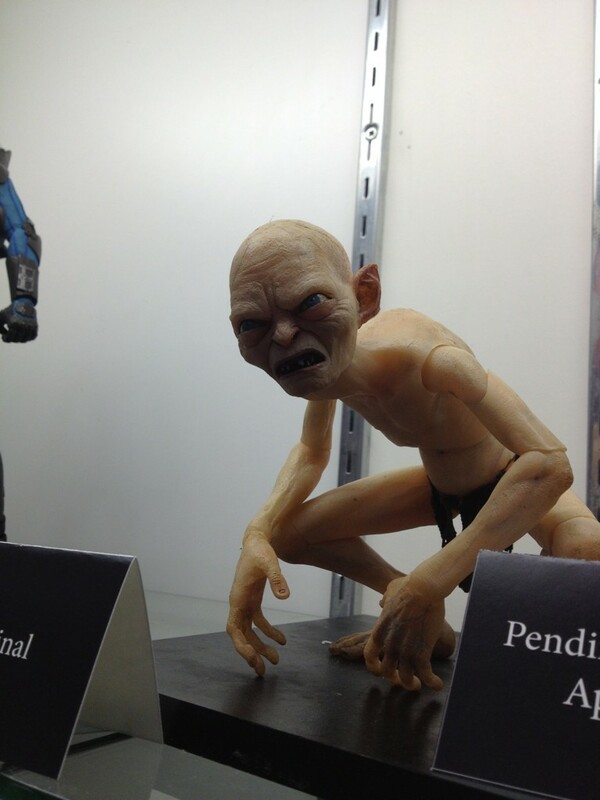 You can’t see the whole thing, but it says “Pending Licensor Approval,” which means that Gollum could change before he hits stores, but even the prospect of a second alliance with The Hobbit/LOTR has us rubbing our hands together and mumbling about how “precious” it will be. 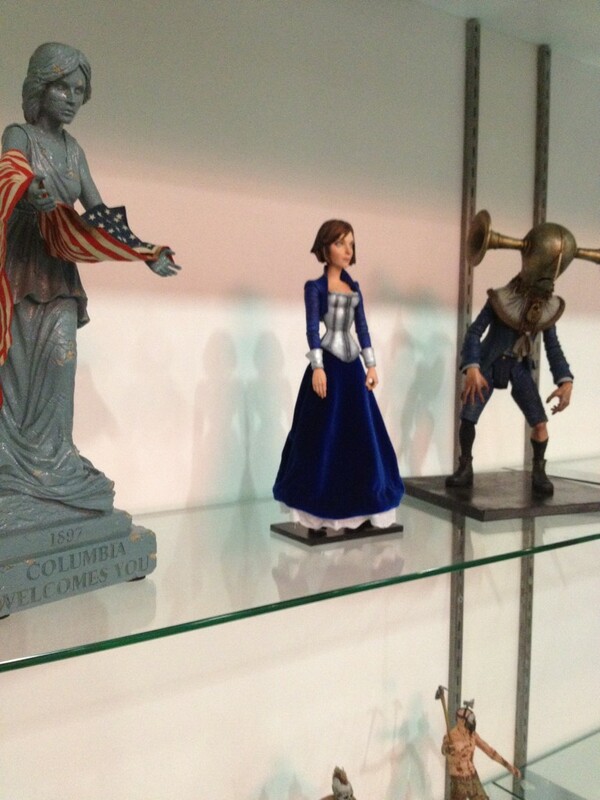 Set to take place on the fictional floating city of Columbia, the third game in the BioShock series is due out next February, and we’ll be continuing our line of excellent BioShock-accurate figures. As the game took Best of E3 last year, we’re really looking forward to seeing how the response is for these latest figures. 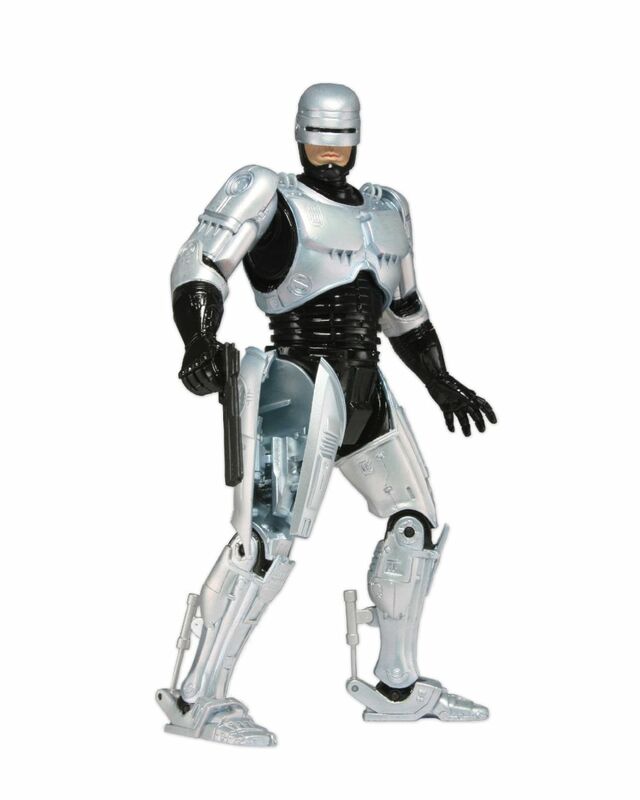 Maybe the picture doesn’t quite capture it, but it’s a highly-detailed RoboCop figure that has a spring-loaded holster. Something cool to add to the growing cult of RoboCop and our own expanding collection. Hopefully we’ll get some video on our YouTube Channel soon of just how it works. The thing about Borderlands? It’s awesome looking. We’re thrilled to be continuing our license for Borderlands figures. We’ve got Series 1 out and Series 2 (as you can see in Randy’s picture above) tentatively slated for early 2013, so stay tuned for more info as we get closer to the release. Say what you will about the timeless nature of Dokken’s title theme (we won’t hear a bad word about it), but A Nightmare on Elm Street Part 3: Dream Warriors has always been an absolute favorite in the series. 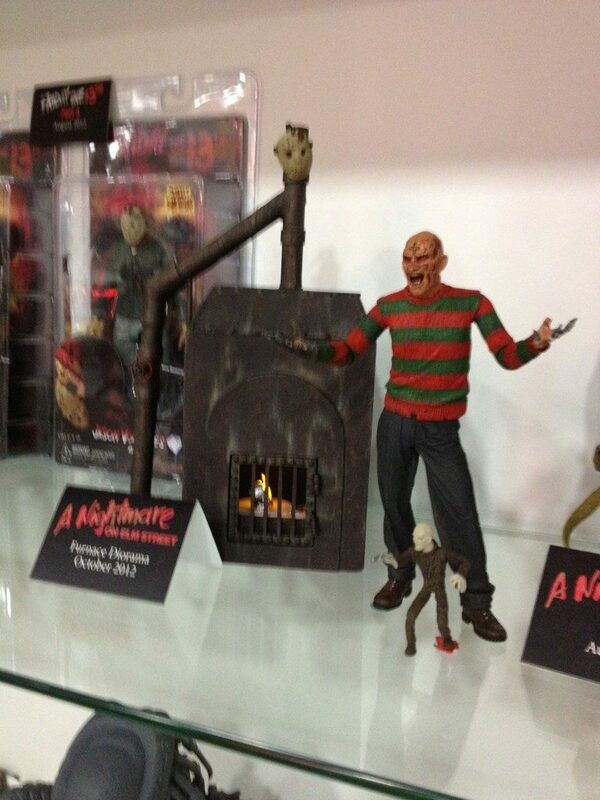 The picture’s kind of fuzzy, but check out Freddy with his furnace above (also the little Freddy) and dig the Halloween 2012 tentative release. Awesome. So clearly in the wake of SDCC 2012, we’ve got our work cut out for us in keeping up for the rest of the year and into 2013. Thanks to Randy for his dedication to tweeting all this stuff, and to you for your support in making it all possible! 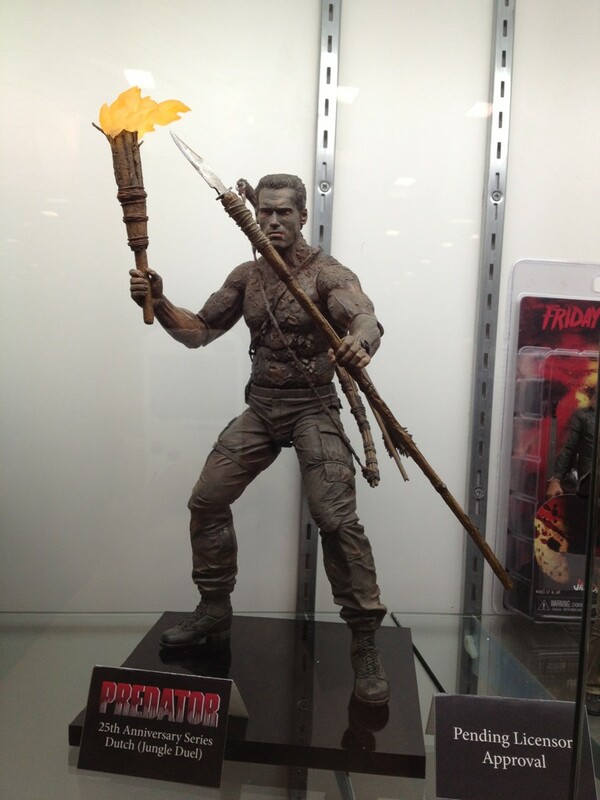 SDCC 2013 Exclusive: Meet the Albino Predator Action Figure!